After being seen in ‘Mardaani’ in 2014, Rani Mukerji became a proud mother with the birth of Adira in December 2015 and has dedicated herself to motherly duties. However, the celebrity actress may soon be returning to the silver screen. Buzz suggests that Rani Mukerji will make a comeback with Siddharth P Malhotra (‘We Are Family’ fame) directed film, which will have a strong female character. Aditya Chopra and Rani Mukerji’s daughter will turn a year old in December and hence the Bollywood actress is planning to start work again. The movie will be produced by Yash Raj Films. Deepika is the queen of crores! 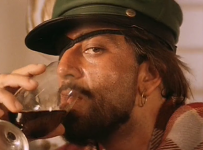 Will there be a Khalnayak Returns?